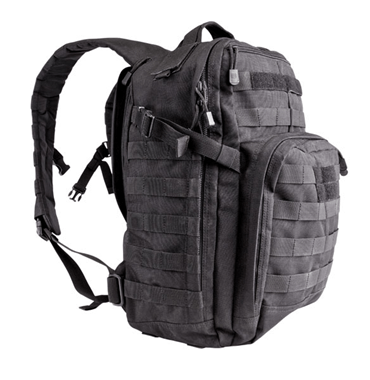 Tactical Kit have just re-stocked on 5.11 Tactical Backpacks and bags. Please visit www.tactical-kit.co.uk to view these items. 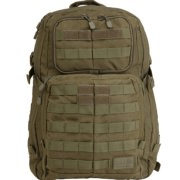 5.11’s PUSH Pack offers quick, convenient transport – Made of 1050D water resistant nylon, the popular, practical PUSH Pack from 5.11 Tactical is a great all-around personal carry bag for on or off-duty use. Perfect for on or off-duty use in urban or outdoor environments, the functional, multipurpose PUSH Pack replaces outdated fanny packs and is more compact than a backpack. It’s made of tough 1050D water resistant nylon and is designed for shoulder carry close to the body. The PUSH Pack has five pockets, an 8.5” x 8.5” x 4” main compartment and heavy-duty YKK zippers. Behind the main compartment is a quick-access zippered pocket with loop-sided Velcro for Back-Up Belt System™ accessories or similar items. On top is an easy-reach safety/sunglass pocket, and expandable stash pockets – perfect for water bottles – are on each side. 5.11’s SlickStick™ system pouches and other gear easily attach to exterior webbing platforms. Spacer mesh and a Velcro belt loop on the backside of the pack keep your PUSH Pack secure. Extras include a non-slip, padded adjustable shoulder strap, plus flag and nametape holders.